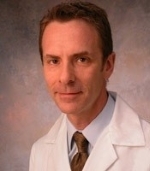 Dr. Glushak received his medical degree from McGill University in Montreal. He is currently Clinical Professor of Medicine in Emergency Medicine at the University of Chicago and is active in leadership of the American College of Emergency Physicians. As the International Medical Director of AXA Assistance, Dr Glushak, has been coordinating the medical care of patients abroad for both emergency and elective conditions with responsibility for numerous medical support services including pre-trip planning, risk mitigation, health alerts outbreak response and international second opinion programs. He is a member of the International Society of Travel Medicine (ISTM). He joined our team of travel medicine consultants in 2016.